When you are a Russian oligarch with a 20-year record of settling out of court with friends, partners and investors accusing you of deceit; when you have a 7-year record of failing to sustain your share value in a genuine stock market, what do you do next? You announce to a neophyte Financial Times reporter that you are selling your shares on the London Stock Exchange with the price underwritten by an anchor investor from China. The newspaper provides free advertising. Noone asks the Chinese anchormen why they are spending money on a business combining Russian electricity and Russian aluminium whose separate parts other Chinese investors have nixed many times before. Answer: the deal is guaranteed by the Chinese and Russian states, with an assured premium in a secret buy-back option. The Russian state aluminium monopoly Rusal, is now the Chinese-Russian state aluminium monopoly, plus the Siberian electricity utilities, Eurosibenergo and Irkutskenergo. So long Oleg Deripaska (lead image)! Howdy-doo Vladimir Putin and Xi Jinping! Last week EN+ issued this notice of intention to sell its shares on the London Stock Exchange (LSE). EN+, registered in Jersey and shortly to move to Cyprus, owns 48.13% of United Company Rusal, the monopoly producer of aluminium in Russia. EN stands for energy, the company’s second line of business, principally electricity production in Siberia; for more details, read this. In addition, it has stakes in coal and cobalt mining companies, and Vanino, a seaport on Russia’s fareastern coast. Deripaska is titled president of EN+, and owns all its shares. His subordinate is Maxim Sokov with the title of chief executive officer. EN+ used to publish the names of a board of directors, but not now. EN+ has yet to reveal the prospectus for its share sale. For the time being, the company says, it is applying to the UK Financial Conduct Authority to allow the proposed listing and a start to share sales. The company hasn’t issued public financial reports for the last three years, as the listing rules require. A group of three Russian state banks – Sberbank, VTB and Gazprombank – plus three American banks, two Swiss, and one French bank have been engaged. According to the notice, “Citigroup Global Markets Limited, Credit Suisse Securities (Europe) Limited, J.P. Morgan Securities plc, Merrill Lynch International, SIB (Cyprus) Limited and VTB Capital plc are acting as Joint Global Coordinators and Joint Bookrunners, with BMO Capital Markets Limited, JSC Gazprombank, Société Générale and UBS Limited acting as Joint Bookrunners, and Atonline Limited acting as MOEX Bookrunner of the Offering (together the “Managers”).” SIB Cyprus is Sberbank. The notice does not say what the percentage of new shares will be, or what free float will eventuate, if any. EN+ says only that it is targeting a sale worth $1.5 billion, “of which USD 1 billion is expected to be primary proceeds.” Of this sum $500 million will be spent, according to EN+, by the Chinese. EN+ says that one common share will equal one GDR (Global Depositary Receipt). There are important differences between listing shares and GDRs on the LSE; they are spelled out here. The corporate governance rules applying to regularly listed companies will not govern EN+. Related-party transactions, such as those between Deripaska, EN+, Rusal, associated entities and the Chinese won’t be required to be reported to the market. Also, look carefully at the exemption from this rule which the London regulator will allow EN+ for the listing of GDRs: “Discounts to Offer Price: Except as otherwise approved by the issuer’s shareholders, the offer price for shares offered in connection with an open offer, a placing, an offer for subscription to the public or an issue out of treasury (other than in respect of an employee share scheme) must not be at a discount of more than 10% to the middle market price of the shares at the time of the announcement of the terms of the offer or the agreement of the placement.” In other words, EN+ can offer the Chinese a much deeper discount for their buy-in than the company and its book-runners are advertising, leaking to the press, or disclosing in the initial trades. The GDR exemption also allows insiders, both Russian and Chinese, to profit from turning that discount into a premium, if the share price goes upward after listing. Exactly what CEFC China is, and how it is controlled, have been left unsaid. 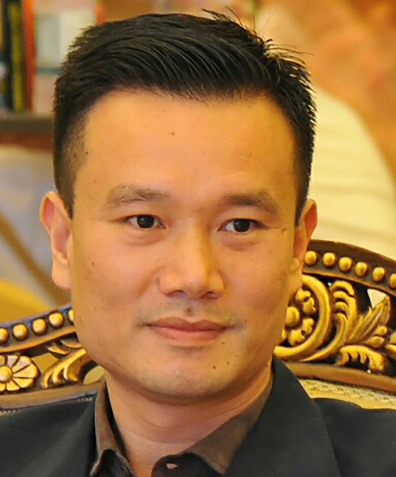 Most of the company is owned by Shanghai Energy Fund Investment Ltd (SEFI), which in turn is registered to Ye Jianming (right) , the chairman of CEFC. But his trail leads to Chinese state control, as reported here. The South China Morning Post reports from Hong Kong that “the vast majority of CEFC’s funding came from state policy financier China Development Bank.” The newspaper adds that AnAn International is heavily indebted, and following a disastrous operating result last year, it had just $36.4 million in cash at the end of December. Just how weak financially AnAn and CEFC are can be examined in this financial report from the group. The June 30 financial report from CEFC revealed its net cash position on June 30 was just $8.5 million. A reshuffle of the senior executives followed in August. According to Hong Kong reporter Eric Ng, “it is not known how AnAn Group, which owns 63.8 per cent of AnAn International, will finance the EN+ shares purchase.” In Singapore, AnAn International was asked yesterday to clarify its financial capacity for the $500 million undertaking to EN+, and how it proposes to finance the deal. The company referred the questions to its AnAn parent, but there has been no response from that company. If the China Development Bank is behind the AnAn transaction, it hasn’t always been so accommodating towards Deripaska; read more. CEFC’s rapid expansion into the international oil business, chronicled here, became a state strategic interest last month. That’s when the Kremlin unwound the so-called Rosneft privatization of last December, and CEFC bought most of the shares earlier reported to have been sold to Glencore and the Qatar Investment Authority. For details of that deal, read this. Left: Igor Sechin (left), chief executive of Rosneft, with Oleg Deripaska (right) at a VTB conference in October 2015. Right: Sechin with Chan Chauto, President of CEFC, after the signing of a strategic cooperation agreement on September 5, 2017. 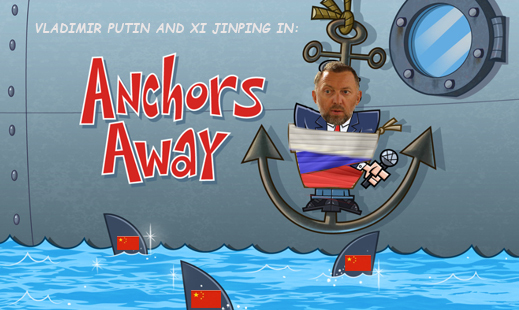 Anchor investors and Chinese cornerstones appeared first in the history of Deripaska’s efforts to sell shares in his businesses in the international market, after he failed to get approval from the UK Listing Authority for Rusal shares to list on the LSE. In Hong Kong, where Deripaska applied after London, Chinese anchors and cornerstones did not provide durable support for share value. In January 2010 Rusal first offered a listing price of HK$12.50 per share. It then accepted a launch price of HK$10.80, only to see that fall to HK$9.66 in the first hours of trading. Recovery was thwarted when the lockout period ended. 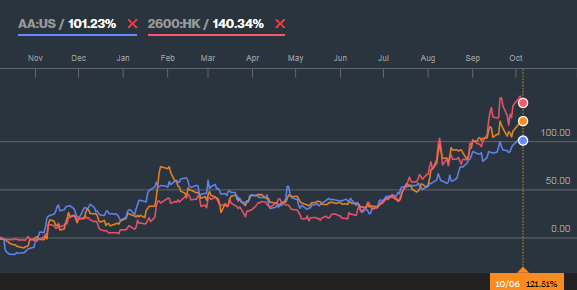 Unanchored and uncornerstoned in the Hong Kong market, Rusal’s share liquidity plummeted, and company money was spent on sustaining the share price. How that was managed from day to day was reported here. In parallel, Rusal failed to attract anchor Chinese share-buyers for other parts of the EN+ holding — not Strikeforce Mining & Resources, a molybdenum miner; not Eurosibenergo, the lead power utility in EN+. This year, Rusal tried a different approach to the Chinese, selling them bonds instead of shares; that’s renminbi (yuan) denominated long-term debt paper with trading on the Shanghai exchange, known for short as panda bonds. An issue of 10 billion renminbi, worth the equivalent of US$1.5 billion, was announced earlier in the year as Rusal’s target, after the issue had been postponed during 2016. The actual bond sales are much smaller; they are being drip-fed into the market, according to the Chinese press. The first bond sale, announced by Rusal on March 16, was for a fraction of target – just 1 billion renminbi ($153 million). This month, another batch of the China-rated, China-guaranteed panda paper, worth just 500 million renminbi ($77 million), was placed. 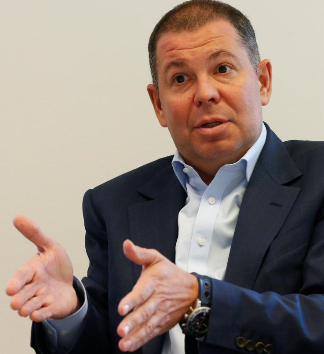 Oleg Mukhmedshin (right), deciding against an application for a London job, is currently deputy chief executive of Rusal in Moscow. He announced: “We are very pleased to see continuous interest from Chinese investors and their support to RUSAL as the first overseas company with global operations outside of China to enter this [panda bond] market.” The money, according to the company, is for “refinancing the Company’s current indebtedness, and for working capital needs including the procurement from Chinese suppliers.” Spending the panda money to cover invoices for Chinese supplies of production materials and alloys needed by Rusal’s domestic smelters was a condition of the Chinese bank underwriting to support the bond sale. From Beijing’s point of view, guaranteeing the Rusal bonds is a form of export financing. The state lock, which is the catch in the panda bond market, can be followed here. Rusal’s latest financial report, issued just over a month ago, reveals that as of June 30, 2017, the company’s short-term and long-term borrowings added up to $8.94 billion; that is made up of $7.83 billion of long-term debt and $971 million of current or short-term debt. On December 31, before the sale of the panda paper started, the total company debt was $8.97 billion, comprising $7.53 billion long-term, $1.43 billion short-term. What is happening is that debt stays roughly the same, but Rusal is refinancing to convert short-term to long-term repayment dates. The value of bonds, which are significantly cheaper for the company than international and Russian state banks charge for their loans, has jumped from $195 million last December to $1.36 billion now. The financial report for the first six months of this year indicates that Rusal’s sales revenues have jumped 22% over the year since June 30, 2016. The new revenue figure came in at $4.8 billion. Costs also grew – by 14% to $3.1 billion. Earnings (Ebitda) grew by 50% to $985 million. Net profit reached $470 million; that’s a gain of 80% from a year ago. Note 5 of the report shows that revenue gains were greatest for aluminium ingots, but there were gains too, for sales of bauxite and alumina, and also aluminium foil products. Left: the Golden Gate Bridge of San Francisco depicted on the latest Rusal report. Right: Rusal board chairman, Matthias Warnig of Germany. The 80-year old bridge is all steel; the only aluminium in the American landmark was added recently for stair treads used by visiting tourists. 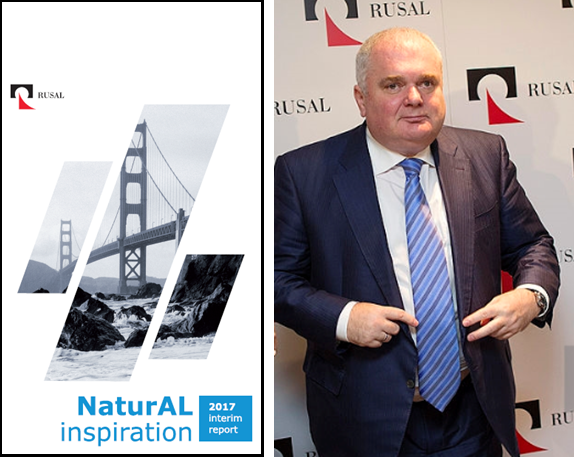 Rusal’s presentation of August 25 (pictured above left) is illustrated with a picture of the Golden Gate Bridge in San Francisco, and headlined with a pun, “NaturAL Inspiration”. The reason for RusAL’s inspiration, explained board chairman Matthias Warnig (right), is the aluminium price. As measured at the London Metal Exchange (LME), that rose by almost 22% over this year to June 30. Rusal’s average sale price per tonne of metal was $1,880 to June 30, compared to $1,543 a year earlier. The volume of metal sold also grew modestly, and so did the share of that volume accounted for by higher-priced, value-added metal products. The takeoff of aluminium this year has had the same effect on Rusal’s international peers, Alcoa of the US and the Aluminium Corporation of China (Chalco). The price trend is the same, but the market capitalizations are different. Rusal is currently valued by the market at HK$94 billion ($12 billion); Chalco is at HK$132 billion ($17 billion); Alcoa is at $9 billion. Daily trading in their shares, or liquidity, is different again. Chalco averages 100 million shares bought and sold per day; Alcoa, 50 million; Rusal, less than 10 million. According to Bloomberg’s charting, Prokhorov’s February disposal was at a price just under HK$4; in August he sold at a price ranging between HK$4.70 and HK$5.50. Prokhorov’s loss is the SUAL Partners, Victor Vekselberg’s and Len Blavatnik’s gain. That is if the metal price continues to buoy up the share price. By the end of last week, on paper at least, they had made 20% on Prokhorov’s exit. A Moscow business newspaper reported last Friday that Vekselberg, having been blocked by the Kremlin from gaining control of the company from Deripaska, is looking to sell out at a premium. The Renova group, Vekselberg’s holding in Moscow, will not say. The EN+ valuation on the LSE might, in theory and in the calculations of Deripaska, Warnig, and Mukhamedashin, generate a premium valuation for Rusal. But that appears not to be the calculation announced to the press last week by Maxim Sokov (right), the chief executive of EN+. Not quite. On the one hand, Sokov has promoted EN+ as a combo of two parts — “a Russian aluminum and hydropower conglomerate similar to Norway’s Norsk Hydro but with the benefit of lower-cost Siberian power”, he told Reuters. “We convert power into aluminum and sell it to the world. We believe the aluminum market has a significant upside.” That was in May. Norsk Hydro is listed on the Oslo Stock Exchange with a current market capitalization equivalent to $15.5 billion. 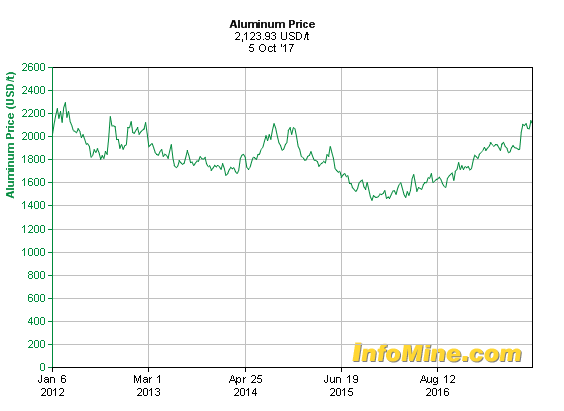 Over the past year, its share price has failed to follow the other aluminium producers sharply upwards. 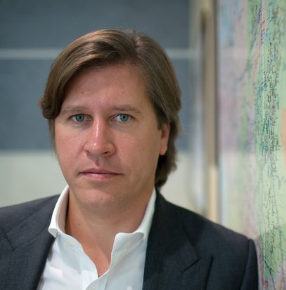 Last week, Sokov told the Financial Times he thinks the EN+ share sale will set a valuation of the company as a whole between $8 billion and $10 billion. This is significantly less than the $11.5 billion valuation EN+ and VTB implied when they swapped debt for shares in 2011; read the details here. That same year the China Yangtze Power Company (CYPC) valued Eurosibenergo, the electricity part of EN+, at $3.5 billion, but still refused to buy shares in the company’s proposed initial public offering on the Hong Kong exchange. Eurosibenergo and EN+ have subsequently expanded their electricity-generating assets. Notwithstanding, between 2014 and 2016, EN+ reports its power sales revenues dropped by 28%. They are growing again this year. Last week, VTB, the state bank leading the EN+ share sale, followed Sokov with a report targeting a valuation for EN+ of between $9 billion and $12 billion. Sberbank, the other state bank promoting the share sale, is sticking to the $10 billion market cap. 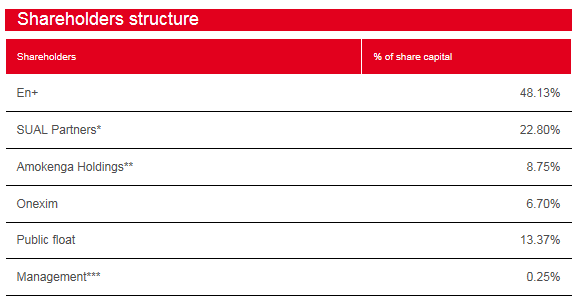 How much of the EN+ valuation is accounted for by Rusal, how much by the electricity assets? For the time being, EN+ is not making a public release of a prospectus, or audited financial reports. As the table of selected financial results indicates, in terms of revenues Rusal accounts for 82% of the EN+ aggregate; the electricity units, 28%. If earnings (Ebitda) are taken as the appropriate measure of asset value in the company’s sum of parts, Rusal accounts for 65%; the electricity assets, 35%. Applying these earnings ratios to Sokov’s and Sberbank’s peak valuations of EN+ at $10 billion, the calculation appears to be that on the LSE, share-buyers will be asked to value EN+’s 48% stake in Rusal at $6.5 billion. If the market sentiment slips to the bottom of Sokov’s range, then the Rusal stake is calculated at an implied worth of $5.2 billion. 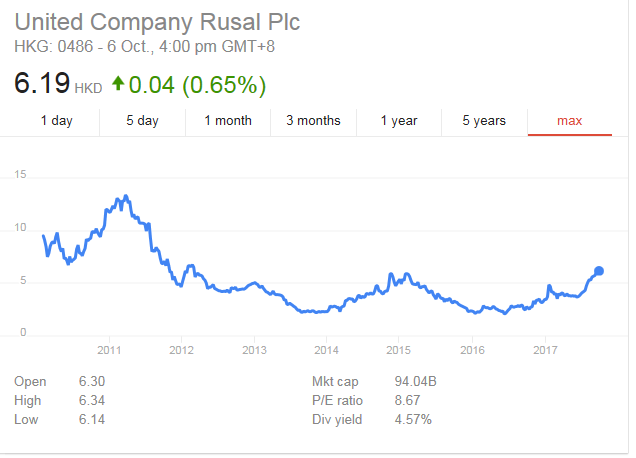 Compare these two numbers to the current Hong Kong Stock Exchange market cap for Rusal of $12 billion, and it turns out that Deripaska is intending the EN+ share sale to revalue Rusal. The new range of value would be between a low of $10.8 billion for Rusal (if EN+ makes a market cap of $8 billion) and a high of $13.5 billion (if EN+ makes a market cap of $10 billion). In other words, the EN+ initial public offering (IPO) could turn out negatively for Deripaska, fixing a discount of 10%. Alternatively, the IPO may turn out well and set a premium of 13%. The VTB numbers are aimed at erasing the discount entirely, and at giving Rusal a premium of 35%, with a peak valuation of $16.2 billion. VTB may be figuring on helping itself to some of that premium by selling its own EN+ shares. That may also be the premium at which Vekselberg will decide to sell out of Rusal. But they may not be the premiums between the entry and exit prices which the Chinese “cornerstone investor”, as EN+ is calling the AnAn group, has agreed with Deripaska. All EN+ will say about the Chinese buy-in price is that “the cornerstone investor has committed USD 500 million for the purchase of the GDRs at the Offer Price, subject to certain conditions.” Will the “offer price” and the “certain conditions” amount to a discount? The London listing rules for GDRs like this one would allow AnAn to buy below the offer price, so as to guarantee a profitable resale even if the outcome of the listing turns out to be much closer to Sokov’s and Sberbank’s low than to VTB’s high. EN+’s representatives in Moscow and at the Finsbury public relations company in London decline to to give details of the “offer price” and the “certain conditions”. Analysts who cover Rusal in Moscow say they won’t guess.